Made of apple wood, resin, glass flask. Dimensions: 120(height) х 80(diameter). Flask diameter is 35 mm. 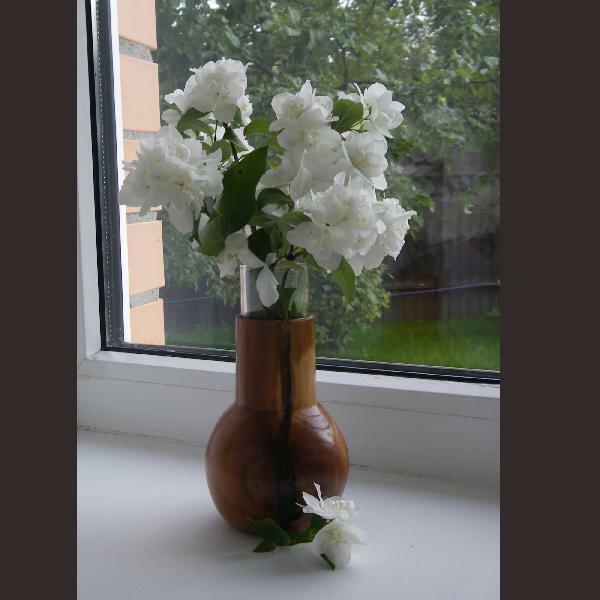 A small elegant vase for flowers with longitudinal insertions of jewelry resin. The removable glass flask can be washed without any risk of damaging the wood. An original gift for a woman of any age. A great interior decoration.